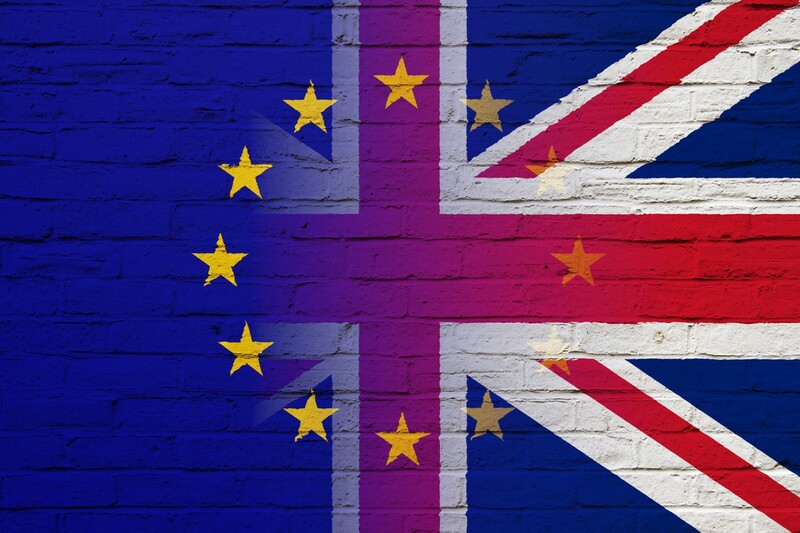 Ever since the EU referendum in 2016 the London property market has been stumbling along, with low growth and a sense of depression and uncertainty as the spectre of Brexit looms. The data from surveys and the official records of estate agencies and other organisations working in the property sector have been telling a common picture over this period of gloom, with falling demand and a reluctance by many investors to commit capital to new acquisitions or construction projects. However, new figures from lettings agency JLL for the prime central London area in the second quarter of 2018 indicated a more nuanced picture. At one level, it might appear to be just a continuation of a bad news story, with the number of lettings transactions down by 15 per cent on the same period in 2017. However, while prices of rental property worth over £5 million fell 1.8 per cent, this decline is far from the worst seen in recent years, which occured in the third quarter of 2015 (5.9 per cent). Much more encouraging, however, is the fact that prices in the £2 million to £5 million bracket rose by 0.4 per cent, while those worth under £2 million increased by 0.2 per cent. This meant an overall price rise of 0.1 per cent. Slight though the increase may be, it is the first time in four years that prices have increased in successive quarters. Moreover, JLL said that despite the fall in transactions, the lower end of the market is “outperforming in rental growth terms”. Indeed, there has been a 0.1 per cent increase in rents in both quarters so far in 2018. Again, this is modest, but the previous two and a half years had seen a 13 per cent drop. Commenting on the report, director of the firm Richard Barber said: "Our report demonstrates an increase in confidence in the prime central London market, but Brexit, the prospect of a Labour government and punitive stamp duty still has its impact. "That said, for those with a plan of living in London more permanently, it is business as usual, and this is reflective in the type of property that is being sold. Smaller homes of two to three bedrooms and flats under £5 million are more popular." None of this indicates a new boom, but it may well indicate that at least part of the market has bottomed out, irrespective of ongoing political and fiscal concerns. This may have two implications for investors; firstly, the data implies that the best kind of property to focus on now is towards the middle and lower end of the market. Secondly, as growth in these sections is real but slow, any investment may be best considered as a long-term plan. That would tally with the thinking of many property industry experts. Such commentators include the chairman of estate agency Knight Frank, Alistair Elliott, who told the South China Morning Post last month that the situation is nowhere near as bad as some predicted two years ago, and that a long-termist approach in London will still work. He remarked: "Buying to sell in six or 12 months time, I would be cautious. Buying to sell in five or ten years, I'd say: carry on." The construction of a new mixed-use development in north London has been granted planning permission. This will also involve the demolition of an old Royal Mail sorting office. It is being redeveloped in a partnership between Reef and the British Airways Pension Fund, with six new buildings being constructed alongside the Regent's Canal. The sorting office is known as the "ugly brown building" by tenants, and the unloved structure alongside the Regent's Canal in King's Cross will be razed to the ground and replaced by six new buildings. It comes at a time when the commercial property sector in London is experiencing some mixed fortunes, but the signs in the prime central London district appear very healthy. The residential element will contain 70 apartments, while there will also be a gym and hotel. Central to the development will be a new headquarters for the retailer Ted Baker. The work will be phased so that its staff can move to a separate block while its new premises are built. Once the new facility is in place, it will house 1,000 employees. Designed by Bennetts Associates, the new development will be constructed from red brick, in keeping with the architectural style of other new buildings around the canalside. King's Cross has seen massive redevelopment in recent years, focused on its position beside two national rail service providers as well as the Eurostar and six lines of the London Underground. In addition to Google deciding to base its new UK headquarters there, another internet giant - Facebook - is following suit. The social media firm has revealed it is to establish three new offices in the King's Cross area by 2021, providing 600,000 sq ft of space and room for 6,000 employees. It is a significant statement of intent, with Facebook’s managing director for northern Europe, Steve Hatch, commenting: "The UK is one of the best places in the world to be a technology company and we’re investing here for the long term." That kind of sentiment, coming from such an influential force in the global internet sector, may have significant implications for the way London and the UK are perceived as a centre for technology. Whatever else Brexit will to do to the capital as a global centre, such a statement suggests the tech sector at least is confident in both the present and the future. Small wonder that the politicians have reacted gleefully. London mayor Sadiq Khan said: "We welcome Facebook’s long-term commitment, which is further evidence that London is open for business and a world-leading destination for major tech companies." Secretary of state for digital, culture, media and sport Jeremy Wright called the move "another vote of confidence in our economy". However, while everything appears to be booming in King's Cross, some London areas may not be doing so well. For example, the planned £1.4 billion expansion of the Brent Cross Shopping Centre by owners Hammerson has been placed on hold, with the company announcing in its half-yearly report that the "current turbulence in the UK retail markets" has prompted it to defer the investment. These contrasting fortunes suggest that while some parts of London may at least suffer to an extent amid the economic uncertainty enveloping the Brexit-bound UK, others are still set to go on booming. It means investors may have to make wise choices, but will still find good opportunities. Developer Qatari Dia has submitted revised plans for a £3 billion redevelopment of Chelsea Barracks, as it seeks to transform the site in this prime London location into a prestige housing, leisure and commercial destination. The new plans for phase 6B will include 126 extra-care and affordable homes, as well as a public sports centre, an NHS medical centre, and four retail units. This will help provide a mix of community facilities instead of making the development an exclusive one. Located on Ebury Bridge Road, the final phase of the development will be connected to the rest of the development by a network of pedestrian walkways. Construction of the first three phases of the scheme is set to be finished in May 2019, but the fourth phase was placed on hold after the completion of groundworks. Providing an update last week, a spokesman for Chelsea Barracks said: "We are thrilled that we have been able to finalise the last chapter of Chelsea Barracks, by revisiting the masterplan to finesse the offering within Phase 6B. Chelsea Barracks is described by the developer as "the most coveted 12.8 acres in the world" and while that may seem like hyperbole to some, it is certainly one of the most prestigious locations in London. Based on Chelsea Bridge Road and adjacent to the boundary between Chelsea and the City of Westminster (marked by the subterranean River Westbourne), the Barracks site is close to the river, a short walk from Sloane Square Tube station, adjacent to Ranelagh Gardens and within easy walking distance of London Victoria station. The new developments of the Nine Elms area lie just across the river. A new footbridge to Chelsea is to be built as part of the latter development. Does population drain indicate London price peak? Since 2016, the London property market has somewhat stalled, with both residential and commercial sectors slipping into the doldrums. Many have blamed the economic uncertainty caused by Brexit, but the real reasons may be more long-standing. Data provided by the Office for National Statistics (ONS) has been clear enough about the direction of travel; in particular, it has shown that while the overall UK population is still increasing and is now just over 66 million, growth has declined to the slowest rate since 2004. Immigration levels are down - an obvious consequence of Brexit - and this will have impacted more on a global city like London than the average locality. Head of the population estimates unit at the ONS Neil Park said: "The effect is most pronounced in London and other areas that have seen high levels of immigration in recent years." However, property prices have also emerged as a key factor. The fact is that London's market is being impacted by an exodus of people seeking cheaper living. During the year to June 2017, a record 330,000 people moved out of the capital to somewhere else in Britain. A city that enjoyed the fastest regional growth rate in Britain in 2016 now had a net outflow of nearly 107,000. This is no flight of EU citizens back to the continent, but chiefly people in their 30s and 40s with young families who desire more and better opportunities to move up the property ladder. Indeed, many of the most popular destinations were still in commuting distance, such as Brighton, Dartford, or the Essex districts of Epping Forest and Thurrock. Birmingham and Bristol also received a significant influx of ex-Londoners. Estate agency Knight Frank stated: "As well as a desire to trade up the housing ladder in search of more space, increased employment opportunities outside London means people are becoming more confident to make the move from the capital." These motivations may go a long way towards explaining how London's property market has lost momentum. Brexit may prove to be a passing problem with the capital bouncing back, but issues like prices and the desire for space - the second being an issue that cannot be resolved through more high-density developments - there may be more long-term factors at play. All this may help explain how there is a major gulf between London and fast-growing cities with booming property markets like Manchester and Edinburgh. True, parts of the Scottish capital are very crowded and much of central Manchester may be too, but there is space in the suburbs and other lifestyle attractions such as proximity to fine countryside. Nor are their property markets at a point where a correction is due. This need not, however, mean that the London property scene is written off. The immigration situation may be less certain than some imagine, not least as future policy, while necessarily no longer Euro-centric, may be more amenable to high-skilled immigration from other countries. Moreover, investors in London may find that they simply need to focus on particular key markets that will continue to do well, rather than simply assuming the whole of the capital will be a boom town in the way it was until recently. Is suburbia being neglected in the rental property market? Property investors in central London and other major cities across the UK will have had much to get excited about and focus on in recent years. 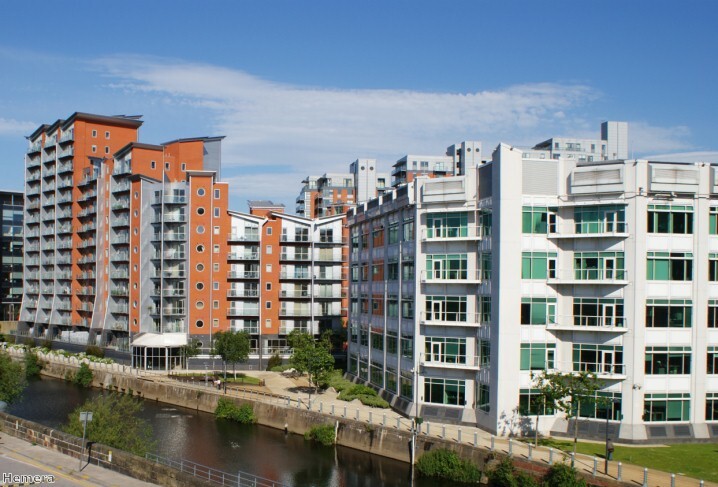 The growth of city centre living has been rapid, particularly in the Midlands and North, but the capital - where such a market was already well established - has still seen plenty of growth. A recent study by the Centre for Cities revealed some dramatic changes in city centre populations between 2002 and 2015. Because such an area is not strictly defined, the study judged this to be localities within a two mile radius of the geographical centre of London (Charing Cross); within 0.8 miles of the central points of other cities; and 0.6 miles of the heart of a city of between 135,000 and 550,000 inhabitants. On this basis, central London saw the highest growth in absolute numbers, from 268,700 to 327,200. However, this increase of 22 per cent was comparatively modest compared with the three-figure growth seen in cities like Manchester, Birmingham, Leeds, Bradford and table-topper Liverpool, which saw a 181 per cent rise. The rapid growth in these city centre populations has come with some very distinct demographic footprints. Those moving into the large apartment complexes and other homes that have sprouted up around city centres are disproportionately graduates, young, single and without children. In the 2011 census, it was revealed that half of those living in the centres of the largest cities were in their 20s. While many will marvel at what this has done for places like Manchester and Birmingham, which have become hives of construction activity with one skyscraper after another rising up, it does raise some wider questions about the development of rental property. Undoubtedly, the process of city centre repopulation has brought a dramatic change, from the crowded slums of decades ago through to sparse populations and now a flood of young, mobile renters with few ties and often no more of a commute than a short walk. But this is not the whole of the rental property market, and an excessive focus on booming city centres may leave significant gaps. Indeed, it is in response to this that some investors and developers are now deliberately targeting the under-served market for rented family homes in the suburbs and outside the cities. Earlier this month, Countryside Properties private rental scheme specialist Sigma Capital Group extended a partnership that has already seen Countryside building new family homes for the developer. An initial agreement to construct 927 properties was signed in 2014 and was followed in 2016 with 900 more. This has now been extended with a new deal for 5,000 more homes. Countryside will be expanding its operations in the Midlands and Yorkshire in the process. Sigma chief executive Graham Barnet observed: "There is a structural shortage of housing in the UK, across all tenures, and our unrivalled delivery platform brings together local authorities, home builders and funders with the common aim of creating new, professionally-managed rental homes for families, a largely neglected and growing part of the overall rental market." Such neglect might be understandable in some ways. The growth of city centres has not just been residential, but also in terms of jobs, with Manchester topping the 2012-15 table with an 84 per cent increase in employment opportunities. The combination of this and the plethora of new city centre living opportunities may have caused some developers to take their eyes off the ball when it comes to the diversity of rental market growth. More people may work in city centres, but that doesn't mean they all want to live there. The reality is that, for all that city centre growth may be exciting and dynamic, there is still plenty of demand - and opportunities - in the suburbs and commuter towns. London property developer Great Portland Estates (GPE) has expressed a cautious view of the market in the capital as it published its results for the year to the end of March 2018. The company said many vendors are holding out for excessive prices for low-value investments across the capital, which means such prospects are not worth pursuing at present. It said this is particularly true in light of the Brexit-related economic uncertainty. As a result, GPE is focusing its energies on a trio of new developments located in close proximity to Crossrail stations across the capital. The company is spending £240 million on these developments, which are based at Hanover Square over Bond Street station, Oxford House near Oxford Street and Cityside House, which is between Aldgate and Whitechapel stations. It has already started on the Cityside project, with the existing building undergoing demolition. When work on the project is finished next year it will feature 74,700 sq ft of grade A office and retail space. Oxford House is also due for demolition and will be replaced with a mixed-use facility featuring 116,000 sq ft of office and retail space, which will be ready in late 2021. The reconstruction job will raise the amount of available space at the site by 30 per cent. Hanover Square will be the largest of the trio, comprising 167,200 sq ft of office space, 41,900 sq ft of retail and catering, plus 12,200 sq ft of residential space. GPE stated that the focus on specific locations that are best-placed for economic growth such as developments near new transport links offer the safest investments at present. Such a rationale may also apply in other cities too, such as Birmingham. Kuwaiti investor Salhia Investments recently confirmed a £140 million investment in a project that will include the tallest office building in the city. Deputy chief executive officer of Salhia Abdulaziz Al-Nafisi said the 30-storey tower in Digbeth represented a strong prospect because it is near where the city's HS2 station will be built, as well as the government's Midlands Engine project. Construction work is set to start on a £141 million mixed-use scheme in Knightsbridge after Skanska signed a deal to be the main contractor. Major work will now commence on the K1 Knightsbridge development, which Saudi developer Olayan Group is creating through the revamp of a site on the corner of Brompton Road and Sloane Street, between Harrods and Harvey Nichols. The 31,600 sq m project is being developed behind the facade of the old building that stood on the site. While the interior has been demolished, the exterior has been retained to maintain its architectural style and heritage. Olayan bought the property for £600 million in 2010. Inside the new development will be 35 apartments, 6,000 sq m of office space, 8,000 sq m of luxury retail outlets and a rooftop restaurant. A further development will be the creation of a new entrance to the adjacent Knightsbridge Underground Station, featuring step-free access. Passengers with restricted mobility will not be the only ones happy with new developments at the site, as the new tunnel will also include an air cooling system to reduce the stifling heat many Tube users endure in the summer. The initial construction work started last month and Skanska will now work to deliver the finished project by the scheduled completion date in late 2020. Olayan's scheme is a prime example of a property investor seeking to target an established, affluent area of central London and replace the existing offering with something better. Alternative investments in property around the capital include major developments in emerging areas, such as the British Land scheme proposed for the Canada Water and Surrey Quays area. That project, for which British Land has just submitted a planning application to Southwark Council, will see 650 homes being built as part of the first phase of a mixed-use project that is designed to eventually cover 53 acres. This will effectively create a town centre in the regenerated canalside area. A common denominator between these two very different London property investments is good public transport links. Just as the Knightsbridge scheme is based by a Tube station, Canada Water has its own Underground stop that interchanges with the London Overground. The property market in London is set for significantly reduced growth for a prolonged period because of Brexit, according to developer Landsec. Chief executive Rob Noel said the remainder of 2018 will see a slowdown in activity as investors hold back from making significant decisions ahead of Britain's departure from the EU. Speaking as the company unveiled a pre-tax loss of £251 million for the year ended March 2017, he stated that the company will not seek to build offices in the capital except where a tenant is already in place, in order to cut its risks. Mr Noel said the slowdown in the commercial sector reflects the wider deceleration in property of all kinds in the capital since the June 2016 vote, which raised concerns about London's future status as a global financial centre. Landec has certainly felt the effects of this downturn, having posted a pre-tax profit of £112 million in the previous 12-month period. The company said the main reason for the drop this time round was its focus on cutting debts in order to make the business more secure ahead of Brexit, but it also noted that the value of its property assets had fallen 2.7 per cent year-on-year. Those investing in residential property across the capital may also recognise the post-referendum slump that has seen London tending to lag behind other areas for property price increases and even for rental demand. 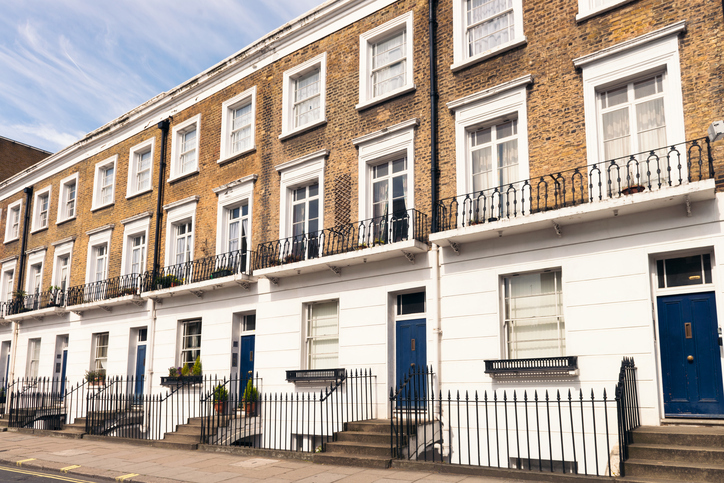 Earlier this month, a survey by Paragon Mortgages found that London's residential landlords were the least optimistic about their prospects in the whole of England and Wales. Only 26 per cent of landlords in central London were upbeat about their prospects for the next three months. This area saw the highest proportion of landlords cutting rents in the last year, with 27 per cent doing so. This pessimism contrasted with other regions, most notably the east of England, where 53 per cent were optimistic about the next quarter. The property market across the country has seen plenty of inflation in recent years, although until recently London clearly led the way. That may have changed as international interest in property has cooled following the Brexit vote, with the capital's market trailing behind the country at large, but London's property remains more valuable than that of most other places despite slower growth, a point demonstrated by the latest data on the very top end of the market. A study by Lloyds Bank on the tally of million pound home sales across Britain in 2017 demonstrated both aspects of London's current position. On the one hand, while the total number of seven-figure property purchases rose five per cent to a record 14,474, the increase in London was just one per cent. Admittedly, other areas also fared poorly, with the east of England also seeing a rise of just one per cent and the East Midlands actually recording a fall as the tally plummeted by 23 per cent. At the same time, it was actually the north that performed best in terms of the year-on-year increase in purchases for £1 million or more, with the Yorkshire and Humber region recording a 60 per cent increase and the north west coming second on 46 per cent. While the East Midlands did badly, the neighbouring West Midlands thrived, with a 28 per cent increase. However, the bigger picture remains that London is still ahead of the pack. Of the million pound sales, 8,308 were in the capital. Commenting on the situation in the Metropolitan area, Head of UK wealth lending at Lloyds Banking Group Louise Santaana said: "As always, the highest number of transactions took place in the capital last year, however growth in London has started to slow for million pound properties. "Overseas investors represent a good share of this end of the London market and some may be holding off buying, pending further clarity over Brexit." In some areas of London, even the average property sale in 2017 was over a million pounds. According to Rightmove, the average for Kensington and Chelsea was £2.2 million and in the City of Westminster, it was nearly £1.5 million. A series of proposals that could significantly impact on London's rental market have been suggested in a report by the Resolution Foundation aimed at reducing intergenerational unfairness. The publication, titled A New Generational Contract, offers a range of steps to tackle the wealth gap between generations and much of this focuses on the issue of housing, both in terms of the difficulty faced by young people trying to get on the housing ladder and the challenges they face in the rental sector. A key proposal that could boost the supply of rental housing is for build-to-rent developments to be made exempt from stamp duty. This measure would have a major impact on areas where build-to-rent is well established, such as London and the north west, as well as aiding its growth on other parts of Britain. 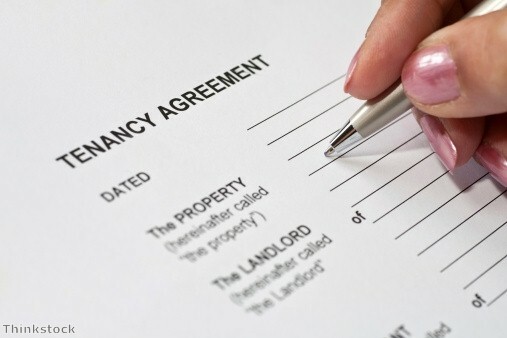 Other measures are designed to make life easier for renters, not least when it comes to the security of tenure - with all tenancies being made of indefinite length as they now are in Scotland, plus a 'light touch' regulation limiting three-year rises in rent to the Consumer Prices Index level of inflation. However, other measures are more specifically designed to help young people and others who rent to move into home ownership more easily. These include a plan to allow city and city region mayors to impose embargoes on the purchases of homes in property hotspots by non-UK residents. This would have obvious implications in London, where many new properties are snapped up as investments by overseas buyers, and may also have an impact, if imposed, in areas such as central Manchester and Salford. A key element of the plan would be to change the tax system to raise extra funds at the expense of more wealthy older people and provide a windfall for the young. This would see council tax being replaced with a new property tax skewed towards charging more for higher-value properties, and ditching inheritance tax for a new system of taxing the receipts of gifts. According to the Resolution Foundation, this would raise an extra £5 billion a year, which could be used to give each 25-year-old a one-off payment of £10,000, something that could help pay for a housing deposit. London’s prime property appears to be stabilising, compared to the rest of the capital’s market. The first London Central Portfolio/Acadata shows price growth in the prime property market have grown by 2.4 per cent during the past three months of 2017. However, sales have fallen over the past year, with a 9.5 per cent fall – representing a 34 per cent decline since 2013. Overall, the capital has seen a drop in average prices, which has been reflected across England and Wales. 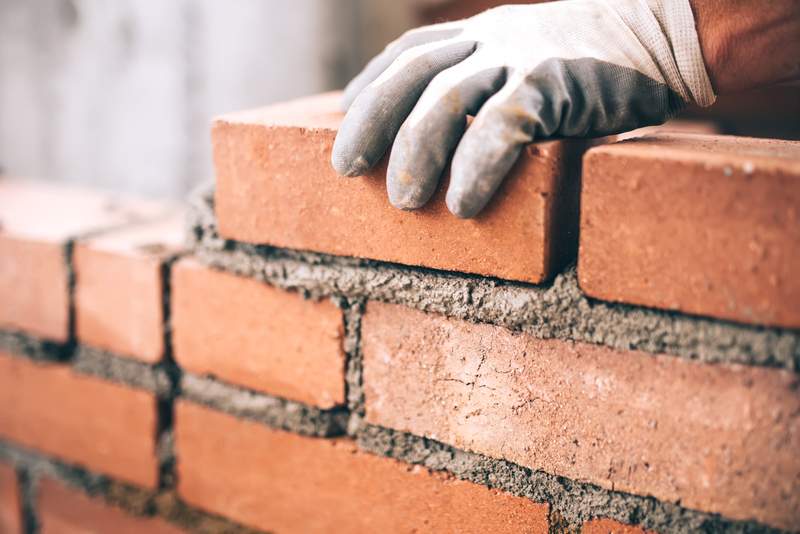 There has been some growth recorded in the new build sector with a seven per cent increase in prices over the past 12 months, making the average price now £345,118. Naomi Heaton, LCP chief executive officer, explained London’s prime market has been hit by tax changes in recent years. “On top of this, an unsettled political backdrop and the slow progress on Brexit negotiations has further dented sentiment, resulting in a picture of price volatility and falling transactions,” she said. The capital’s property ladder remains challenging for those hoping to own their first home, reveals new figures. Data from UK Finance shows the average first-time buyer in the city is 32 years old and has an income of £66,000. During the last three months of 2017, a total of 10,700 new first-time mortgages were completed – almost the same level seen at the end of 2016. “Subdued growth in the number of first time buyers shows that affordability remains a challenge in the capital,” said Jackie Bennett, director of mortgages at UK Finance. London did see an 8.5 per cent rise in new home lending during the last quarter of 2017, with the average moving now aged 37 with an income of £89,000. The activity in the remortgage market was strong, with a 9.8 per cent increase in remortgages at the end of 2017 compared to the previous year. She also stressed it is key for the government to expand in how it plans to support first-time buyers once the current Help to Buy scheme comes to an end in 2021. London is set to get a new town that will provide 11,000 new homes and various community facilities. The new development is part of an investment plan supported by London’s Mayor and housing association and developer L&Q. Based on the banks of the River Thames in the Barking area, the new town project will over seven schools, various retail units, healthcare facilities and a cycling hub. 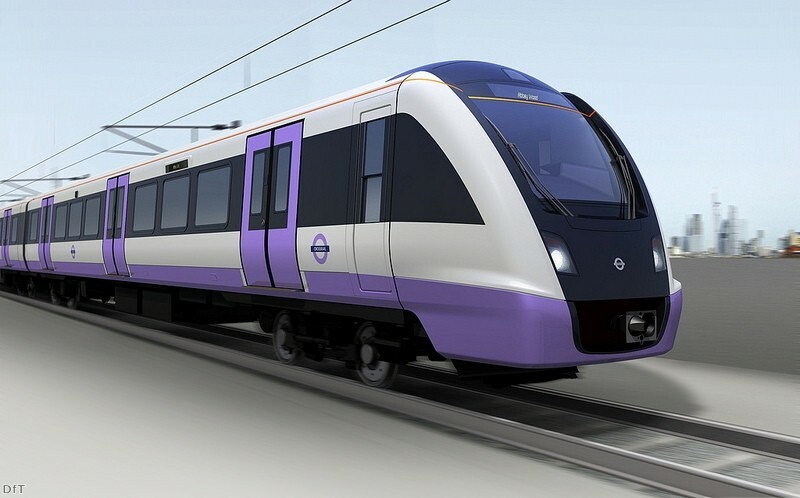 The town will also be a 22 minute overground train commute from the centre of London. The site is currently abandoned after being the home of three power stations and a landfill site up until the 1990s. It is expected the regeneration project overseen by the Barking Riverside Limited will be completed by 2021 and could play a key role in meeting the shortage of homes in the region. “This is an incredibly exciting project for Barking and Dagenham, but also for the whole of London. As we tackle the biggest housing crisis of a generation, major developments like Barking Riverside will deliver thousands of the genuinely affordable new homes Londoners desperately need,” said London’s mayor Sadiq Khan. Many first-time buyers looking to buy a home in the capital are struggling to find properties that qualify for the recent stamp duty exemption incentive. Research from HouseSimple shows there are only 387 homes for sale in London’s Travel Zones 1 and 2 currently priced low-enough for buyers to be able to take advantage of the tax relief. Homes must sell for less than £300,000 to ensure there is no stamp duty liability, but it seems London buyers may need to widen their search to take full advantage. Within Zone 3, the study shows there are 1,235 properties that meet the criteria, but heading to Croydon, which is in Zone 5-6, there are 795 properties – the largest number in any London borough. Alternatively, first-time buyers could still get some stamp duty relief even on properties priced up to £500,000. He added many young professionals are forced to buy in outer London areas and endure long commutes, and this could eventually lead to other cities being more attractive. With the Boxing Day sales in full force, London’s Oxford Street is the ideal destination for shoppers looking for a bargain. However, this exclusive area of London has a lot to offer property investors, as well as tenants. The street, measuring 1.5 miles, can be found in the City of Westminster in the West End of London and is regarded as the busiest shopping region in Europe. It is estimated it attracts around 100 million shoppers from more than 200 countries every year - spending a collective £4.9 billion. Around 300 shops are based on Oxford Street and retailers range from high-street brands to more exclusive designer brands. It is also a major employer in the capital, with the various outlets providing around 50,000 jobs. Of course, one of the major advantages of Oxford Street is its great location between Marble Arch and Bond Street - with plenty of transport links with the rest of London and the UK. Most of the shops along Oxford Street are open from 9am to 9pm Monday to Saturday and 12pm to 6pm on Sundays. In the run-up to Christmas and during busy periods of the year many of the stores also extend their closing hours on Thursday evenings to ensure everyone has time to find that perfect purchase. Oxford Street is not just about shopping and there are plenty of great places to take a break from retail therapy. It is a tempting place for foodies, with all sorts of cuisine on offer, including the standard chain restaurants and interesting independent restaurants, bars and cafes. If you are looking for something a little unusual then head to the Benugo’s Garden Cafe. This Grade II listed raised terraced garden sells a great selection of snacks and is perfect for anyone who enjoys people watching. There are plenty of bus routes to Oxford Street from across London including the 3, 6, 8, 10, 12, 13, 15, 23, 25, 53, 73, 88, 94, 98, 113, 137, 139 & 159. It is also very easy to travel to the shopping street via the London Underground. There are several tube stations in the area including Bond Street on the Central Line and Jubilee Line, Marble Arch on the Central Line, Oxford Circus on the Bakerloo Line / Central Line / Victoria Line, Piccadilly Circus on Bakerloo Line / Piccadilly Line and Tottenham Court Road station on the Central Line / Northern Line. For those who prefer to drive then there is the Q-Park Oxford Street car park which can be found at the centre of Oxford Street just behind John Lewis at Cavendish Square Gardens. There is the option to get discounted parking if you book your space in advance. 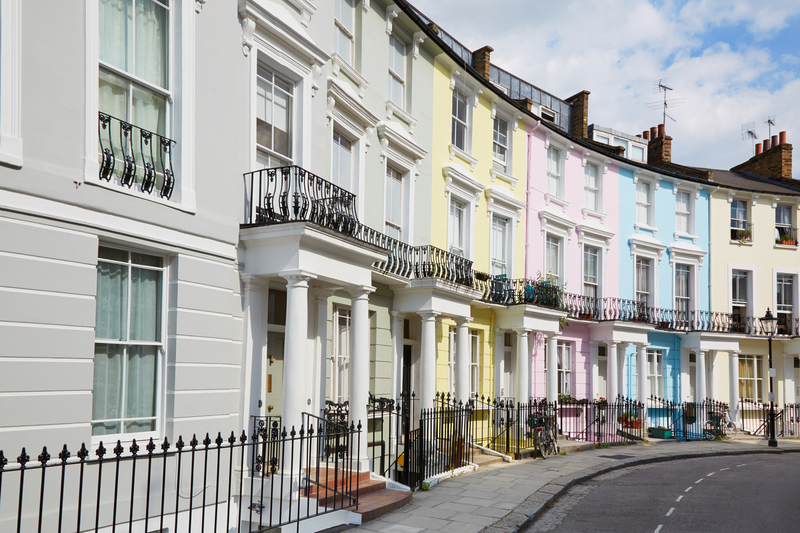 A new analysis of Land Registry data, compiled by London Central Portfolio, has revealed that average prices in the prime central London property market reached a new high of £1,818,262 in 2016. The analysis also found that the last quarter of the year saw prices rise 14 per cent from the previous three months. Overall, the analysis found that 2016 ended with prices having risen by 3.75 per cent. It wasn’t all good news for the sector, however, with property sales falling by 29 per cent, to reach a total of 3,330 for the year. This reflects the lowest number of transactions on record. The fourth quarter of 2016 saw 118 sales, which was a 19 per cent rise from the previous quarter. However, it represented a 33 per cent fall from the fourth quarter of 2015. Ms Heaton said that although transactions “remain significantly down for the year as a whole,” it is important that there was a 19 per cent quarter-on-quarter rise in sales. She explained that this “bucks the seasonal trend” when sales typically fall during the quieter period before Christmas and New Year holidays. Sales and lettings markets in prime central London have begun 2017 more optimistically, according to new research. Estate agency JLL has revealed that both markets suffered from falls in price and an overhang of properties on the market last year, but after price adjustments from Stamp Duty changes having been largely absorbed, this year’s outlook is more promising. JLL emphasised that with Brexit negotiations still ahead of us, 2017 will be a year of market stabilisation. We expect prices to remain steady but forecast activity to increase. The fourth quarter of 2016 appeared to show a boost to sales, with the number of transactions increasing by 36 per cent compared with the previous quarter. In addition, the weakened pound encouraged international buyers to return to the UK market. JLL’s research found that, on average, prices fell again in Q4 but that the drops in price have fallen as 2016 went on. The agents found that the average price fall of 0.1 per cent in Q4 was an improvement on the 0.2 per cent decrease seen in Q3. It was a marked improvement from the 1.1 per cent fall in Q1 and 0.9 per cent drop seen Q2. JLL said it expects transaction levels to be notably higher in 2017 compared with 2016 and predicts that prices will remain broadly flat during the year ahead. On average, it was found that rental values across prime central London fell by 3.1 per cent during Q4 2016. This was the fourth consecutive quarterly fall and has left rental values 8.6 per cent lower during the course of 2016. JLL has forecast stable rental values during 2017, then rising from 2018. Higher underlying consumer price inflation is likely to put some upward pressure on rents. Richard Barber, director of residential agency at JLL, said: “Q4 saw a marked upturn in transactional volume throughout prime central London with some notable high value sales. Known as 'the last piece of the Central London jigsaw', Nine Elms on the South Bank of the River Thames is one of London's newest and most exciting areas of regeneration. Soon, there will be a raft of exciting, modern new homes available in the centre of a city where it's often perceived that there's little in the way of space for new homes and new places to live. But as Nine Elms gets ready to come to fruition, is this one of the best places in the UK to buy a home and move to? The short is answer is yes, and the reason is simple; new developments and new areas of regeneration of this can often bring about local changes that see exciting opportunities and new facilities that are not available elsewhere, and for the right demographic, this can make for the perfect place to live. Here, we take a look at a few key reasons why Nine Elms, and any other regenerated areas, can make the perfect place to buy, and a fantastic place to choose to live. 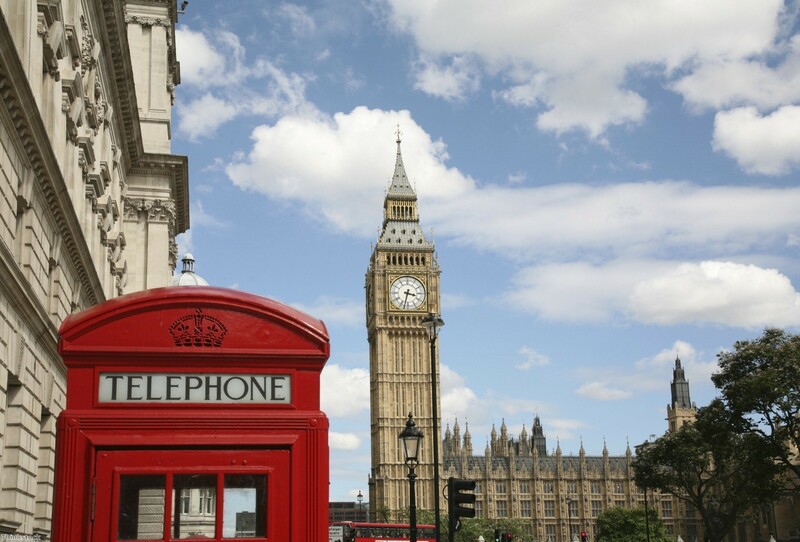 For those looking to live in London, one of the biggest sticking points can be finding a job. But one of the largest benefits of new areas and the regeneration that takes place in locations like Nine Elms is that jobs tend to come with the process, which can mean living and working in close proximity, and finding your dream job and dream home in one almost unbelievably convenient package. Between now and the end of the project in 2022, it is believed that there will be more than 20,000 construction jobs created in Nine Elms, and by the time the regeneration has come to an end, estimates are that there will be more than 25,000 permanent jobs in place in the area across a range of exciting sectors, which will really help give the new area a life and a local atmosphere. A few decades ago, the South Bank area that is home to Nine Elms would not have exactly been the best place to live, being the heart of industrial Central London that it was. But as time has passed, so has this historic use of the area, which has given way to a new way of life in the area. The London Eye, National Film Theatre and Royal Festival Hall are just a few of the places that have brought the South Bank to life and made it something of a cultural hub. And of course, not only do these places make the South Bank a great place to live, but the regeneration of the area and the creation of Nine Elms will only improve this, making the area just a fantastic place to be and spend your life. Look forward to seeing fresh, distinctive nightlife hotspots, as well as hip cafes and bars, as well as a whole new town centre that will make Nine Elms your own little haven in the centre of the capital. And that's without even mentioning the benefits to family life. New schools and parks will also be brought to the area, making it the perfect place to live, work and raise a family. One of the biggest benefits that comes with new areas like Nine Elms, particularly in London, is the fact that it doesn't initially come with the same price tags that come hand in hand with some of the more established areas of the capital. This can mean that you can live right in the centre of the city, without having to pay the same sky high prices that might be found in surrounding areas, which gives you an opportunity to live somewhere exciting and quickly rising, but without having to pay through the nose just to do so. Tower Bridge is an area located in East London with a lot to offer. The Bridge itself was built between 1886–1894, and crosses the River Thames close to the Tower of London. It has since become an iconic symbol of London, as civilisation has grown around it. 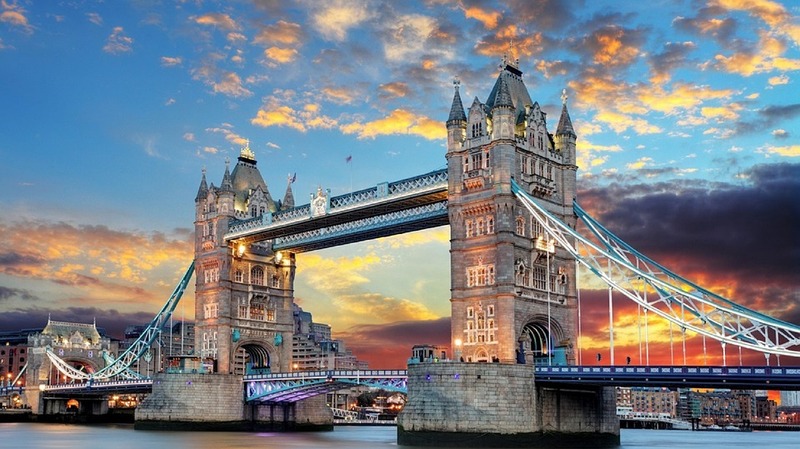 Today, it is one of the most popular areas of London, and is home to a multitude of amazing restaurants and bars, so we thought we’d show you just where the very best places to go in Tower Bridge are, to make sure you make the most of the area. This Hotel Chocolat owned restaurant, found in Borough Market, is not all about the chocolate, as you would expect, but all about the cacao. In 2010, having spent four years restoring the 250-year-old Rabot Estate cacao planation on the island of Saint Lucia, discovering all there was to know about cacao and how to farm it responsibly, it was decided that Hotel Chocolat would build a restaurant based on this knowledge, and that it would be called Boucan. Boucan opened to rave reviews, quickly becoming the hottest restaurant in Saint Lucia. Unsurprisingly, when rich diners began to flock from New York, a short-haul flight away, to a restaurant in a rainforest set up by eccentric Brits, it was decided that it was time to bring the Boucan experience back home, to a larger audience. Nowadays, Rabot 1745 is situated in Borough Market, and we would strongly advise you to check it out! This fantastic restaurant offers a true taste of Argentinian cuisine, providing delicious food and wine, and an amazing atmosphere. If you’re a meat lover, and a nice steak and chips takes your fancy, this is the place for you. The service is always extremely friendly without fail, and the stunning views of Tower Bridge makes for an impressive setting. This versatile restaurant offers a huge menu for both lunch, dinner, and even brunch, while catering for all types of dietary requirements. Restaurant Story opened in April 2013, and gained its first Michelin star within five months. The founding chef, Tom Sellers, now one of the most famous chefs in the UK, learned everything he knew from being shaped and guided by other famous chefs, such as Tom Aikens, Thomas Keller and René Redzepi, who gave him the skills and vision to be the extraordinary chef that he is today. In 2013 Tom realised the dream that he had harboured for ten years and opened Restaurant Story. His food is modern, creative and beautiful, served in a friendly and relaxed environment. This restaurant is characterised by its strong, bold flavours, making it an extremely enjoyable night for any particular food lovers out there. This British inspired Bistro, which you can find in the fire station on Tooley Street, reliably serves delicious, seasonal and sustainably sourced dishes. The most amazing thing we feel about Brigade is the story behind it. On top of running the restaurant, it is a training kitchen which provides apprenticeships that help the homeless develop skills and motivation to find employment. With a bar that’s always buzzing and a wide variety of delicious foods to choose from, you definitely won’t be disappointed. 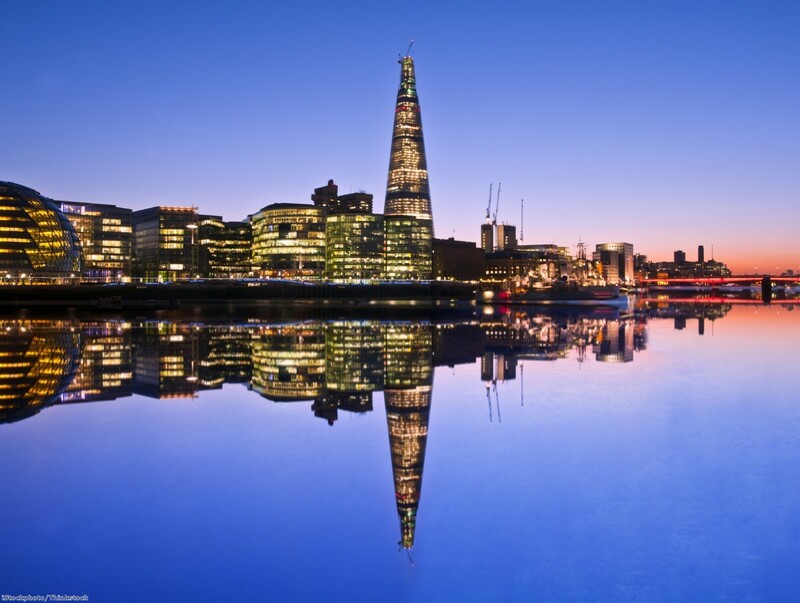 Aqua shard is a lively, cosmopolitan restaurant serving innovative contemporary British cuisine. A wide range of meals are readily available, including breakfast, lunch, weekend brunch, afternoon tea and dinner, although out of any, the weekend brunch is the one we would go for! Being located on the 31st floor of the Shard gives it an incredible view of London, an advantage over any rival. The bar at aqua shard is, in our opinion, one of the very best on offer across London, boasting incredible views of the capital and some beautifully crafted cocktails, as well as some delicious wine and nibbles. The Dickens Inn is a picturesque restyled 18th century pub and restaurant. It provides an outstanding atmosphere to go and enjoy food and drink in the heart of St Katharine Docks. For a reasonable price, The Dickens Inn provides incredible pizzas, along with a wide range of other foods, which can be enjoyed either inside, on the balcony, or in the beautiful beer garden, with stunning views of Tower Bridge and the Shard. The cost of properties in London is falling at its fastest pace in seven years, according to new analysis. Data released by the Office for National Statistics (ONS) revealed the average price of a home in the capital was £490,000 in February, the lowest for two years. This represented a £9,000 reduction. 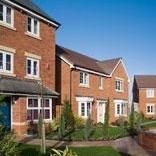 Its House Price Index for February also noted that prices across the UK increased by 7.2 per cent over the past year. This is down from 8.4 per cent in the year to January 2015. However, it reported that annual house price growth is beginning to slow across most of the country. “In February 2015, prices paid by first-time buyers were 7.4 per cent higher on average than in February 2014,” the ONS said. It added that for owner-occupiers - which it to say existing owners - prices went up by an impressive 7.2 per cent for the same period. In related news, LSL Property Services found that annual house price growth in the UK had slowed to its lowest rate since January 2014. “Property prices in England and Wales continue to hit new heights, yet the cogs of the machinery are flagging to the most laboured pace we’ve witnessed for sixteen months,” said Adrian Gill, director of Reeds Rains and Your Move estate agents. “Slowing to 5.6 per cent in March 2015, annual house price growth has now been waning for half a year, and hasn’t been this sluggish since November 2013. 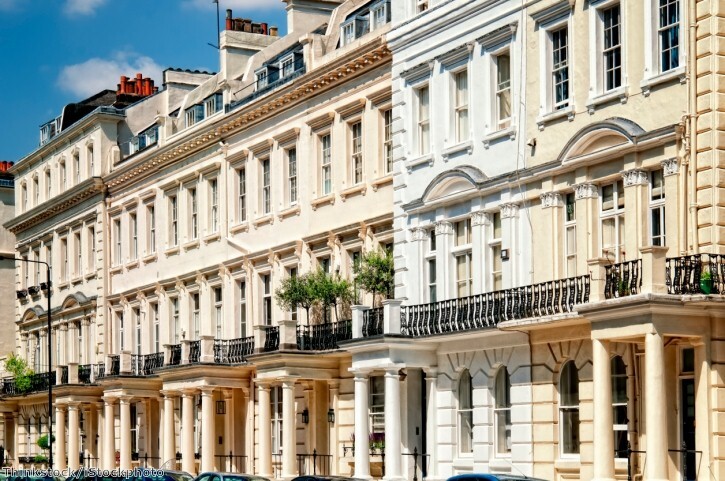 It won't come as a surprise to many people to find out that the prestigious streets of Central London, consistently the most in-demand area of the UK property sector, are once again the most expensive places to buy in the whole country in 2014. In spite of the threat of a mansion tax that would hit the area hard, demand for this type of property has remained high throughout the year to keep prices there higher than anywhere else in the UK. Research from Lloyds Bank has shown that the streets of Belgravia and Knightsbridge in the centre of the capital are the most expensive in the UK. Located in one of the most prestigious areas of the capital, Belgravia's Grosvenor Crescent, sat between Hyde Park Corner and Belgrave Square, is the country's most costly street. According to Lloyds, to buy an average home on the street, all of which are Grade II listed, would cost a buyer £16.9 million. The bank said that five of the ten most expensive streets in the whole country are in Belgravia and Knightsbridge, with the prestige of these two areas bringing investors to the markets time and again to push demand and competition ever higher. Behind Grosvenor Crescent is Eaton Square, where the average property costs some £15.5 million, and Chester Square, where buyers will have to splash out just under £9 million. Both of these are in Belgravia, whereas Knightsbridge has Trevor Street at £10.1 million and Montpelier Street at £8.4 million. 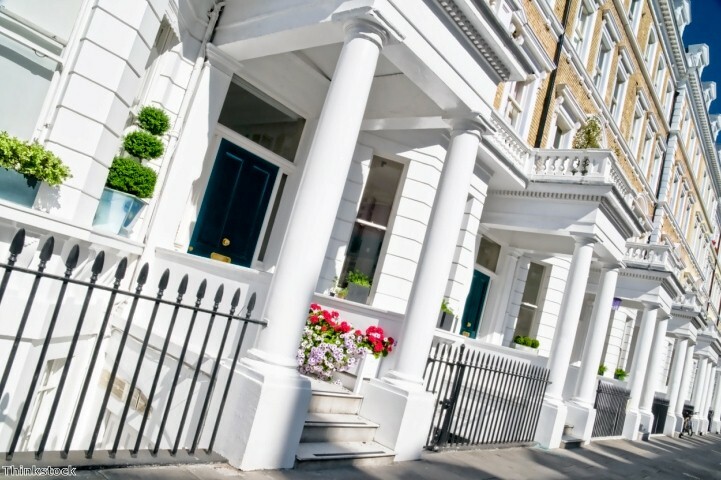 The remaining top ten most expensive streets are all in Kensington and Chelsea, where Cadogan Square leads the way with a property price averaging £8.5 million. Andy Hulme, mortgages director at Lloyds Bank, said: "London dominates the list of the most expensive residential addresses in England and Wales. As an international city, London has always attracted overseas buyers and in recent years the capital has been a magnet for ultra high net worth individuals. "This has led to soaring demand for homes in the prime residential areas of central London and as a result values have grown significantly. For the first time since this survey began, there are three streets with an average property price of over £10 million." 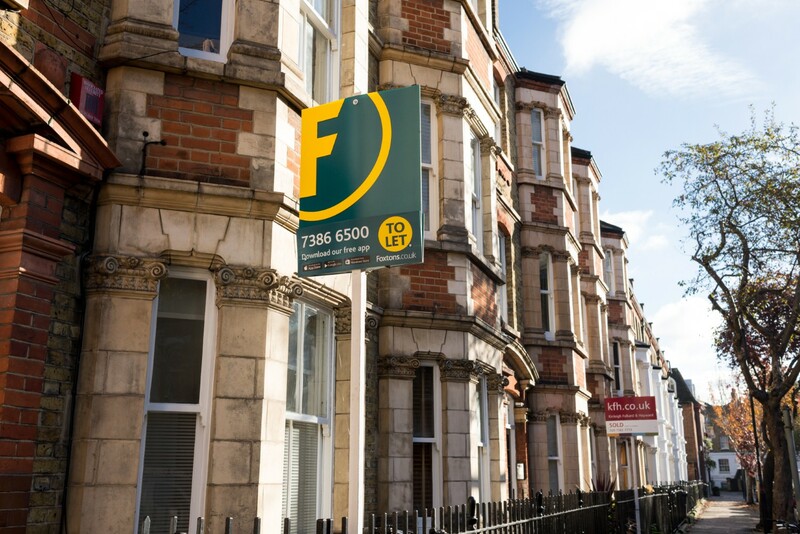 Confidence among landlords in the UK rental sector has been high for some time now, thanks to the favourable returns and high yields achievable across the buy-to-let market as a whole. New figures have shown that this is set to continue into 2015, with one type of property in particular likely to garner a lot of interest from investors. Homes in multiple occupation (HMOs), which are properties in which three or more tenants from more than one household live and share bathroom and kitchen facilities, are most popular with young professionals and students. These mostly form what has become known as generation rent - people who would rather rent a home than purchase one for the sake of convenience. The demand that has come from generation rent for properties of this type has seen the desire for investment rocket, and this has become the most popular asset class with landlords across the UK. Platinum Property Partners' latest report showed that 43 per cent of landlords in general want to purchase more homes in the new year to add to their portfolios. However, when it comes to HMOs, the desire for investment is decidedly higher. Fifty-two per cent of those who have already purchased HMOs will be looking to grow their stock numbers in the next 12 months. Some 29 per cent will be looking to purchase at least two new properties for this particular arm of the private rented sector, while 14 per cent said they intend to buy three or more, such is their confidence that the market will perform well for them in the new year. This high level of positivity doesn't seem to be misplaced either, with the latest predictions from Marsh & Parsons stating that the next 12 months are likely to see the rental market's value increase. According to the company, 2015 will experience rental growth in London property of up to ten per cent, compared to just between three and five per cent for house prices in the capital. 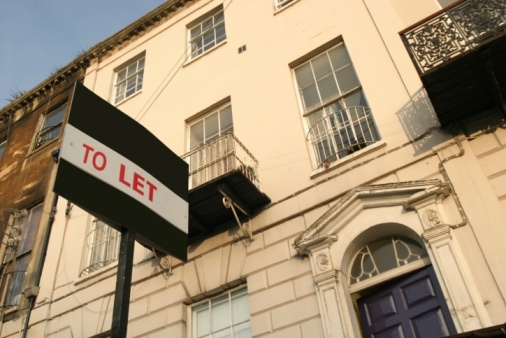 Confidence among landlords also comes in spite of the fact that many are expecting next year to be the one in which the Bank of England raises the base interest rate. Even though this would make it harder for people to get a buy-to-let mortgage at a price that is affordable, landlords are still looking to get themselves a slice of the action. "A rise in interest rates is one of landlords’ main concerns for 2015, yet the majority don’t anticipate that these rises will be dramatic or unaffordable. As a result, our research reveals that the sector will continue to grow next year, with two in five planning to add to their portfolio despite a likely interest rate rise," said Steve Bolton, Platinum Property Partners' chairman. "Investors in HMOs show the greatest intention to increase their portfolios, which reflects the fact that HMOs and renting to working tenants such as young professionals delivers extremely attractive returns, and offers higher rental income compared to other buy to let options if done properly. This has cultivated robust confidence among those already reaping the fruits of this type of investment, and has sown the seeds for ambitious expansion in the sector next year," he added. The employment prospects in London are starting to pick up once again it seems, with demand from companies for office space in the capital suggesting that many are looking to expand or hire more staff in the coming months. It is a factor that could have a knock-on effect on the residential sector, with any recruitment drive from London-based companies likely to see more people moving into the capital, giving a boost to the private rented sector in particular. 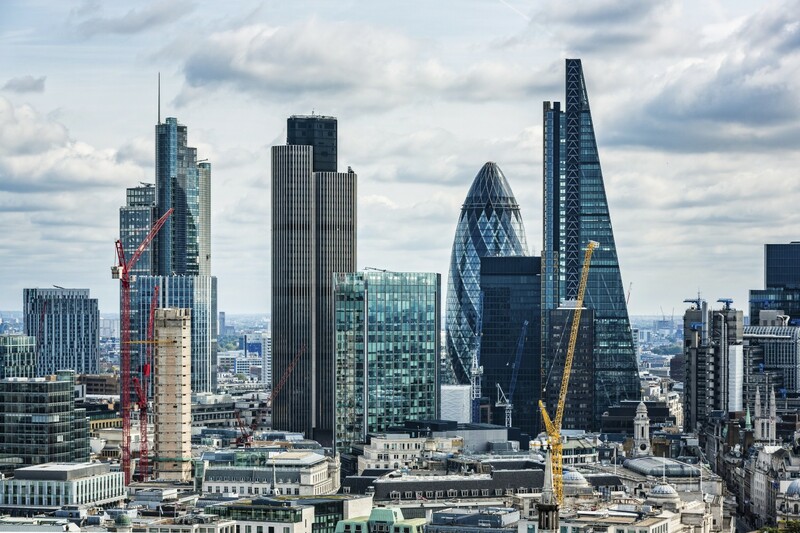 According to the latest offices report released by Knight Frank, office demand in the city has now reached its highest level since 2000, with firms not in the financial sector in particular now starting to look at commercial spaces within the City of London's so-called Square Mile. Its report said that office space uptake in the third quarter of the year reached some three million square ft, rising from the 2.2 million square ft that was recorded in the second quarter of the year. This means it rose by some 39 per cent in the space of just three months. Knight Frank said uptake has not been this high since the second half of 2000, and added that the current rate is way ahead of the long-term average, which sits at 1.7 million square ft.
"I see this as evidence of the Manhattan-isation of the City office market, where finance is now one of several sources of office demand now the square mile’s economy has drawn in a variety of new industries, as is the case in New York’s key office markets," said Dan Gaunt, head of City Agency at Knight Frank. In the nine months so far in 2014, the uptake of office space has hit some 6.9 million square ft, which is already ahead of the figure for the whole of 2012, when it ended the year at 5.8 million square ft.
Knight Frank said that many of the industries now taking up space in the City are those which would not have done in the past, which is helping to boost demand, with the likes of Amazon having come to the area in the last few months. Would the mansion tax be bad news for UK property? The mansion tax is a piece of legislation that has been hanging over the UK property market for a number of years now, with the threat of those who own properties costing over two million pounds being taxed seemingly getting more and more real all the time. However, with the general election now less than a year away, the chances of it being introduced seem more likely than ever before. The idea was first brought about by the Liberal Democrats, but since then it has been adopted by Labour, and it is widely believed that if the party comes to power next year then mansion tax will become a reality - but how would this affect the property market? According to experts, however, its introduction would prove very detrimental to the property market in London and the south-east in particular. In 2013, there were ten per cent more homes sold for more than a million pounds in 2013 than when it hit its previous peak in 2007, which meant that 8,320 streets UK-wide had at least one home with a price tag of more than a million pounds - and with these rising in price far quicker than any other types of home, it would mean that more and more reach the threshold in just a few years. With over half of these streets situated in London, it's not hard to see how a tax on this type of property could prove to be a serious problem for the market in the capital. "A mansion tax will be a tax on London and the south-east. Policymakers may feel that moving towards a regime where levying more taxes on assets as well as income is necessary, but there needs to be more detail on how this will work, and perhaps some assessment of the unintended consequences on the Treasury’s other sources of income such as stamp duty, capital gains tax and inheritance tax,’ said Liam Bailey, global head of residential research at Knight Frank. The worry is that over a number of years, the total volume of homes being sold at between £1 million and the £2 million threshold would fall drastically as people who are on the verge of having to pay a mansion tax avoid spending so much. The other problem that could occur could be that there would be the chance for a fall in valuations as vendors seek to avoid a reality wherein they are not able to find a buyer for the above reasons. It would mean that properties which really should be selling for just over £2 million end up going for less than the threshold, which would mean in turn that the market could stagnate and prices remain static for a number of years. Experts have called for a raising of the threshold for mansion tax at the very least. After all, the first proposal for this variant was brought about in 2009, and the property market, particularly in London, is a very different place now. 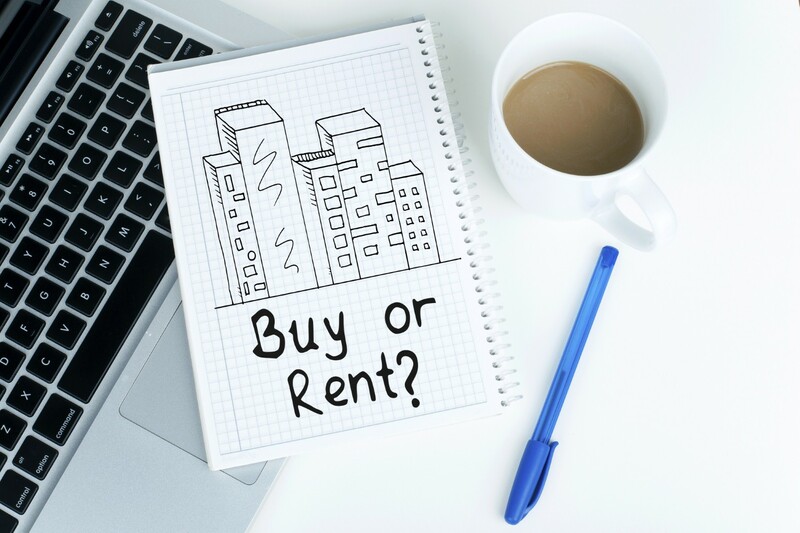 Investing in buy-to-let properties is all about hitting the market at the right time, capitalising on demand and making the most of it to increase yields and make a strong return on investment. And it seems like now might just be one such time, with the latest reports stating that rental prices are on the rise as more and more people are looking to rent across the whole country, and particularly in London. According to the findings published this week by Move With Us, the cost of renting a home in the UK has now risen beyond the £1,000 per month threshold for the first time in history, with London tenants now expected to shell out an average of £2,300 per month for the privilege of renting. In London and the south-east, this new figure is the highest historic figure, aside from the Olympic bubble, during which prices rocketed because of demand around the 2012 summer Games in the capital. Robin King, director of Move With Us, said: "This record milestone emphasises that in certain regions across the country there isn't enough supply to keep up with demand in the private rental market. The regions around the capital have witnessed substantial growth in the last 12 months and have made a significant contribution to the national average rent going past £1,000 for the first time." This low level of supply, and the issue that it causes thanks to a continued strong demand, means that there is a real gap for landlords to exploit at the moment. Confidence is high among buy-to-let owners already, and for those looking to improve their returns, it could really be the time to purchase more properties for this purpose. And it may be the perfect chance to score a return increase for landlords, with predictions from Move With Us stating that the 4.6 per cent increase seen in the past 12 months may well be replicated in the next year, taking rental prices to their peak. The government intends to abolish outdated rules, originally introduced in the 1970s, that prevent London homeowners from renting out their houses on a short-term basis to visitors. Under the current laws - established under the Greater London Council (GLC) 40 years ago - residents of the capital who want to rent out homes for less than three months still need to apply for planning permission from their local council. This rule does not apply to any other area of country. These outdated regulations really came to light during the 2012 Olympics as they were not consistently enforced across London, with different boroughs taking their own stances. By introducing new measures in the deregulation bill, the government will give those residing in London the freedom to rent out their homes on a temporary basis without having to face endless red tape. However, there will be some restrictions introduced to stop homes being turned into hostels or hotel, as to do this would require ‘change of use’ planning permission. Communities secretary Eric Pickles said there would be measures enforced to prevent abuse of the new regulations or the permanent loss of a home. According to Mr Pickles, the reforms will not only benefit the capital’s already strong tourism industry, but will also help families earn some extra money while they themselves are on holiday. In addition, these changes to the law will make it easier for residents to rent out unutilised parking spaces on their property to raise extra money, which will in turn increase the number of parking options for the hundreds of thousands of commuters that make their way to the centre of London every day. The tides have turned in London, with fewer foreign buyers looking to invest in ‘safe haven’ properties in the capital, while more of their British counterparts seeking to secure prime real estate, according to a report from Knight Frank. For the first time this year, UK buyers have accounted for the majority of the market, with a share of 53 per cent, compared to 36 per cent in 2013 and 27 per cent in 2012, the research notes. In addition, the report said the combined figure for British and European buyers was 79 per cent in the first quarter of 2014, compared to 46 per cent in 2013. Knight Frank believes this is an indicator of how sustainable demand remains for ‘super prime’ property - homes worth over £10 million. The review also reveals that annual prime growth across central London in the year to April slackened to 7.5 per cent. Annual growth for super-prime property was 3.3 per cent - a figure that Knight Frank claims is due to buyers seeking value beyond the popular postcodes in the capital, such as Mayfair and Belgravia. It also appears that buyers are more willing to pay high prices for flats rather than houses, as the average price for a super-prime apartment is £3,460 per square foot compared to £2,545 for houses. 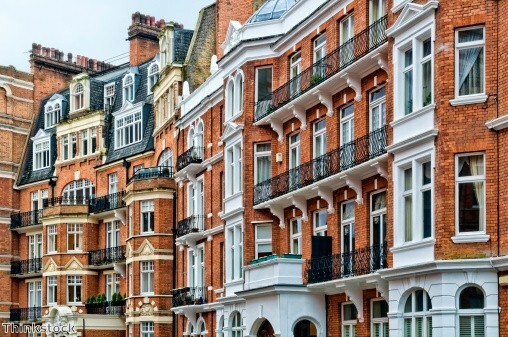 According to the report, British buyers are occupying the empty places of foreign buyers as threats, such as the possible collapse of the Euro zone, lessen as the UK’s economy experiences as an upturn. This means there are more UK buyers in the super-prime bracket since the financial crisis of 2008. Affordable homes in London are the key to plugging the gap in the capital, according to a new report, which could well give developers a heads up on the area of the city they need to focus on improving. The study, published this week by Savills has shown that London needs some 50,000 new homes per year in order to cope with levels of demand and to stave off the threat of a potential property bubble. It added that around 80 per cent of these need to be aimed at a price average Londoners can afford, which would be around £700 per square foot. Savills said that in a city where the vast majority of people are earning less than £50,000 per year, it is vital that people are not priced out of the market by a lack of homes that fit into their price range. 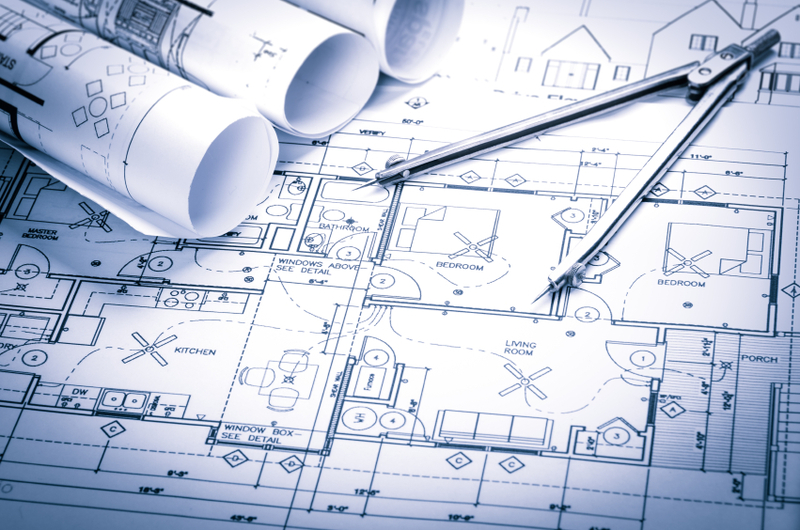 At the moment, 35,000 homes are planned to be built in the capital each year, but the report states that this would leave it with a shortfall of up to 15,000 properties, a reality which can have a significant impact and see prices inflated time and again. It was a situation that was seen towards the end of 2013, when Countrywide reported that more than ten potential buyers were looking to get their hands on every property that went on sale in the capital, indicative of a supply and demand shortfall. "The unassailable demand for more homes in the mainstream markets makes the case for building and investing away from the centre compelling. Now is the time for developers and institutional investors to look beyond the prime markets of central London." said Susan Emmett, Savills UK residential research director. The company said that rising neighbourhoods and areas of regeneration are the real future for the London property market, taking development away from the pricey realities in the centre of the city and making the most of cheaper land slightly further away to help deal with the supply and demand issues that have been prevalent in recent years. A drop in the number of buyers in London, coupled with improved business sentiment and hiring levels, could potentially leave a gap in the market to be exploited by institutional buy-to-let investment. 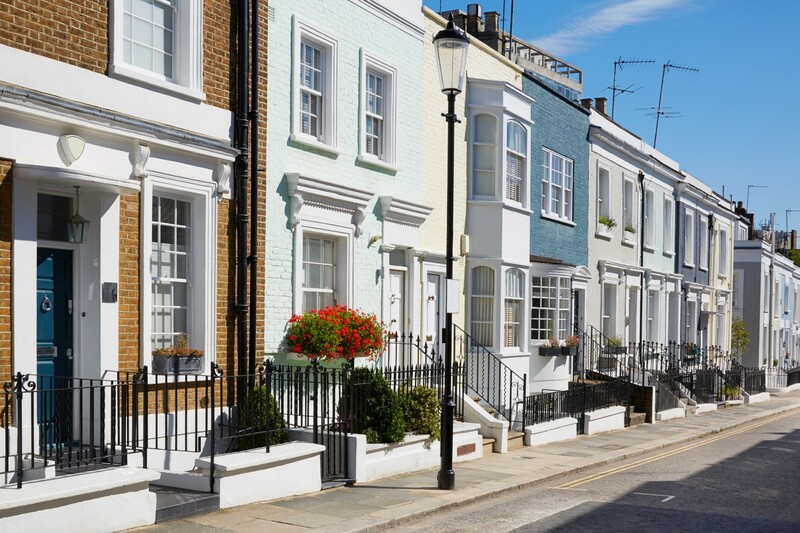 According to new figures released this week by the Council of Mortgage Lenders (CML), the lending levels seen in Greater London fell in the first quarter of 2014. The report stated that there were 20,800 home purchase loans approved in the first three months of this year, and although this was 22 per cent higher than the same quarter a year ago, it was 13 per cent lower than figures seen at the turn of the year. Loan value was also lower in the past three months than it was at the end of 2013, with overall mortgage lending for the period at £5.6 billion, a drop of 10.6 per cent compared to the quarter prior. It's a reality only likely to be repeated in the months to come as well, with the Financial Services Authority's new mortgage regulations tightening rules and making it harder for people to get a loan than it has been in the past few years. The news comes at a time, however, when the economy is constantly improving, and businesses around the capital are expecting to increase their hiring over the rest of the year, which means sales should actually be higher. With a slowing in the number of buyers, coupled with the fact there is a shortage of new homes being built, could there be a gap in the market for institutional build-to-let properties? The government has been pushing the notion quite heavily in recent times, and with an influx of new people coming to London needing somewhere to live at a time when mortgage lending is low, it represents a healthy time for larger organisations to kill two birds with one stone. Not only will the building of new blocks specifically for rental purposes mean that the housing crisis is tackled, but companies should be able to make fantastic yields on their investment, with lower mortgage lending only likely to increase demand from newcomers to the city. How does the economy affect the property market? It seems like a pretty obvious statement to make, but the property market in the UK is one of those sectors that is most often affected by external financial factors, with other areas of the country's economy often having a real hand in deciding how the housing market performs. Examples include the way the market crashed quite spectacularly back in 2008, when the recession hit the UK, taking people's earning power down and causing banks to tighten their lending conditions, which greatly reduced the number of homes sold. However, the opposite can also be true, and it doesn't always just have to be a negative impact that the economy has on the market - in fact, positive factors elsewhere are currently helping to boost the sector, a reality that can be shown by the way certain areas are really starting to flourish. Since the middle of 2013, the British economy has been in a period of recovery, slow and steady, but recovery nonetheless, which gave confidence to a number of different sectors. And with the economic growth this year expected to sit at around the three per cent mark, it has meant there have been more and more business starting to feel more confident, hiring newer members of staff and growing their operations all the time. It is this economic factor that has had one of the most significant and instantly noticeable impacts on the property market as well, according to Lloyds Bank. It stands to reason, of course - when people are gainfully employed and have a steady income, they will rightly feel more confident about buying a home. Lloyds Bank research shows this trend off rather clearly. It said that in inner London and northern Scotland, house prices are accelerating at faster rates than anywhere else in the UK as sales numbers escalate. The bank added that it is in these areas that employment levels are by far the best in the country. In the London areas with the best recoveries in employment rates in the last few years, the uptick in house prices has been quite impressive. All of Hackney, Southwark and Lambeth have outperformed the rest of the city, and these have seen house prices climb by some 84 per cent, 78 per cent and 76 per cent in the last decade. These have all seen their unemployment rates drop by between 1.1 per cent and 1.8 per cent since 2004, far outperforming the rest of the UK. This has helped to attract far more people to live and work in the areas, and helped to show just how significantly the external financial issues can affect the UK property sector. Is London still the property investment hotspot of the UK? It's no secret that the property market in London has been red hot for a number of years now, but while it has been the hotspot for investors looking to get the most for their money, there have been rumblings in recent times that the market in the capital was set to overheat. On top of this, with regional property prices starting to grow and improve, and having room for further growth with them still sitting six per cent below peaks according to Rightmove, many investors may be turning their eye to investments away from the capital. According to one investment expert, however, this may not be the wisest move, as he advised that London is still the best place in which to buy to make the best returns on investment in the long run. Richard Kirby, manager of the £1 billion F&C Commercial Property Trust, said his company expects that London and the south-east will continue to outperform the regions moving forward, with only growth in commercial property - and particularly retail - likely to buck this trend. He added that the biggest market for investment in London is the rental sector, with tenant demand remaining consistently high at the moment, and more and more people looking to get themselves a place to live in the capital. This has been boosted by the growth in business sentiment across the UK, which has seen a greater number of companies able to take people on, increase wages and generally improve the financial situation of the average Brit. And with a leader in the property trust market now advising people to invest in the capital, could it lead to a rise in a new arm of the rental sector? The institutional private rented sector is something that the government is keen to bring in to the market to help meet with demands, and it has even provided funds to make it happen through the build to rent scheme. Institutional investment in the private rented market works by having companies by buying brand new properties for the express reason of letting them to tenants, and they work with management companies to run their buildings and make sure everything goes smoothly. It could help with demand in the sector and mean rental price increases being kept under control for the next few years. 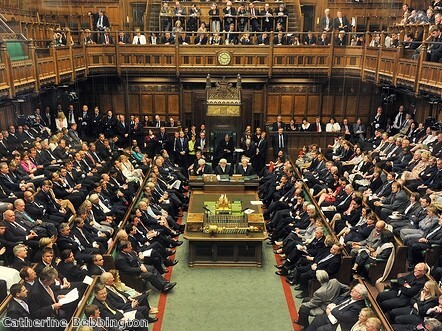 Does politics have an effect on the property market? Does the political climate in the UK have any real bearing on the property market? The simple answer is yes, obviously - with the Budget having a strong hand to play in the health of the sector year after year, and the government always teasing potential new taxes, changes in leadership can have a definite and noticeable impact on how well the sector performs. Away from the feared mansion tax and constant desire for stamp duty changes, though, how does Westminster - as well as local authority rule - affect the market? According to Lehman Brothers' latest research, it can be quite a sizeable effect. The company said, for example, that changes to taxation made by the coalition in recent times have made it possible for the market to be controlled, made sustainable, and steered away from the worrying possibility of a property bubble. Property price rises in London alone have often been cited as being in danger of getting out of hand, but the analysis showed that political intervention has helped to cool this somewhat. Lehman Brothers said that while prices rose in the capital's Prime Central sector by 0.8 per cent in March, in the past two years, rates of increase have been becoming more sustainable. In the year to the end of March, property prices have risen by some 7.5 per cent, and while this is still a real positive for the market, it is slower than the 11.3 per cent and 8.1 per cent recorded in 2012 and 2013 respectively - showing that the market is starting to become more mature. The report said that this is largely down to political intervention, with the government having extended taxes for properties bought through a private company model in its Budget 2014 announcement, a new rule which was looming for a while, and may have had some bearing on the attitude of buyers. And then there is the looming general election, which will take place in May 2015. Despite being over a year away, the government is often loathe to make changes at times like now, for fear that voters might be alienated by any large shifts. It may very well be the reason that leaders opted not to drastically change stamp duty in the budget, despite calls from many in the industry. The opposition can also have an impact, of course, and it is Labour's much feared mansion tax that has often made headlines, for good reason. Were the party to introduce the higher tax band for properties valued at over £2 million, it is expected that 80,000 properties across the UK would be subject to the new levy. And with 95 per cent of these being located in London and the south-east, according to Zoopla, it's easy to see why sales of £2 million-plus homes may have cooled a little in recent months. In truth, no matter which party is in power, the time left in any government and new regulations can have a very large effect on how the market performs, as well as how buyers act. The London property market has been hot for the last couple of years, and resistant to the conditions that damaged the sector further north in England, this much is obvious to anyone buying, selling or renting in the capital. However, years such as that experienced in 2013, wherein prices rose by 13.2 in the city compared to 5.3 per cent nationwide, often lead to speculation that the market is headed towards bubble conditions, which could cause prices to nosedive when it bursts. In reality, though, London is far short of reaching another property bubble. While prices in the capital, as well as in the south-east, may be above previous peaks experienced in January 2008, there are plenty of reasons to be positive that growth at the moment is indicative of a market in which the future is bright. For example, at the moment, buyer conditions are improving. The government has extended Help to Buy until 2020 as of the Budget announcement of last week, which means there will be an increased number of buyers for at least the next six years. In addition to this, there is the fact that people are starting to feel better about their finances, which means a greater number will be looking to buy homes. The economy has been growing since the third quarter of 2013, and is expected to grow by almost three per cent this year, while unemployment is dropping all the time and heading towards the magic number of seven per cent. This positivity is a sentiment shared by one of the capital's largest investment groups, Songbird, which owns Canary Wharf. Its chairman and chief executive Sir George Iacobescu said that profits for investment collectives rose considerably in 2013, and he believes that more once homes are built, prices will start to mature. He said that at the moment, there are some 30,000 homes built per year in the capital, when it actually needs 50,000, which inflates prices in line with the increased competition. But with the government having pledged half a billion pounds to small builders to get them working, and the potential for greater institutional investment in new build properties for the rental market, it is an issue that should be addressed moving forward. For the latter group, more investment at the moment, makes real financial sense. As well as there now being more government fund through the Build to Rent scheme, the simple fact is that the city is hot property for investment groups. David Pritchard, the chairman of Songbird, said: “Improving market conditions resulted in a sharp rise in the valuation of the investment and development portfolio." The market, according to the Evening Standard, is now going through its biggest boom in history, but it could just be the start of something great. The strength of the London property market in the last few years has been no secret - in fact, it's been quite the opposite, with many heralding the strength of the sector in the capital. 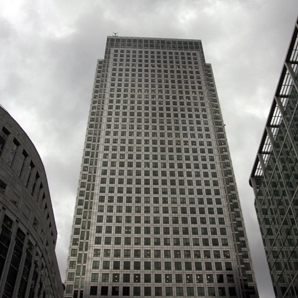 Seemingly impervious to the effects of the financial crisis that seriously damaged the real estate sector across the UK, and cementing its place as the most popular area in the world for foreign buyers, according to the Association of Foreign Investors in Real Estate, London's property prices rose by 9.4 per cent in 2013 according to official government figures. But while it is prime Central London, and perennially popular areas like Canary Wharf that often get the bulk of the plaudits thanks to the commercial and financial importance they have, places that are perhaps not as trendy are also now starting to come into their own. Elephant & Castle is just one area where the property market has been quietly improving in recent times - to the point that the region is now red hot, with prices and valuations having risen substantially in the space of just a year. Since 2012, Zoopla statistics show that property valuations in the area have increased by some £35,000 on average, but it has been in the last year where the area has flourished. Nearly £24,000 of this growth has come in the 12 months to March 2014, representing a 12.45 per cent rise year-on-year. It's clear straight away that this increase in an isolated area is substantially higher than the London growth as a whole, showing just how much it has improved, and with the average asking price in Elephant & Castle in March 2014 now in excess of £1.2 million, it could be about to step up and become one of the main players of the capital's property sector. Average rental prices in the SE1 zone are also ticking over nicely, with Zoopla stating that asking prices for landlords at the moment are in excess of £2,000 per month, indicative of an area that is in seriously high demand. And with applications for tenancies, according to Knight Frank, having been up by nine per cent in 2013, and 2014 rental price increases expected to greatly exceed last year's two per cent, buoyed by ever-increasing demand, Elephant & Castle will be just one of a number of areas of the capital where buy-to-let investors find themselves in a fantastic position looking forward. 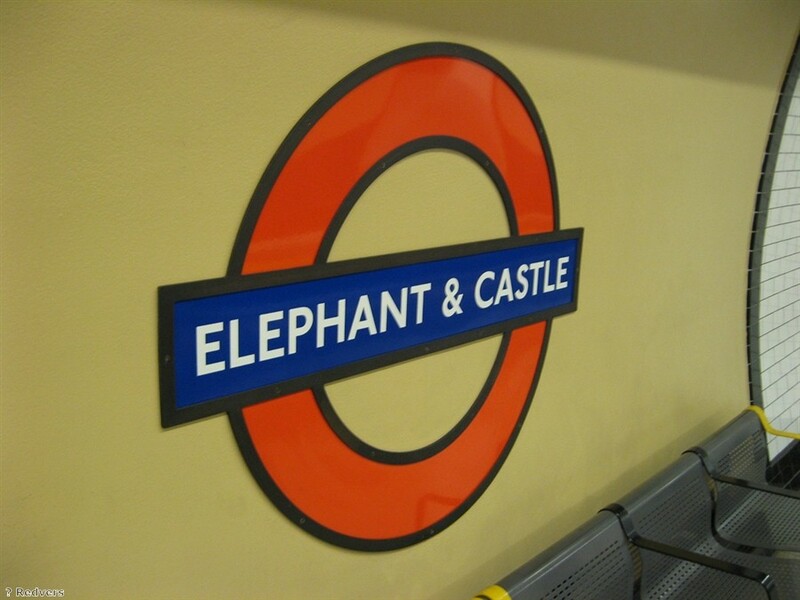 So why is Elephant & Castle becoming such a hotspot? Aside from the fantastic transport options that arise from its location, both by road and Underground, it mainly all boils down to regeneration. The area has managed to shed its reputation as being rather sterile, thanks to the tearing down of former council housing, replaced in large by fantastic new developments and trendy structures. For example, Ruskin Walk won best regeneration project at the New Homes Awards 2013, as well as being named as the best new place to live in London at the London Planning Awards 2013. It all serves to enhance the reputation of the area, and with property prices and personal finances now meaning more people are making positive lifestyle choices as opposed to just seeking convenience, the future could be bright for one of London's up and coming hubs. 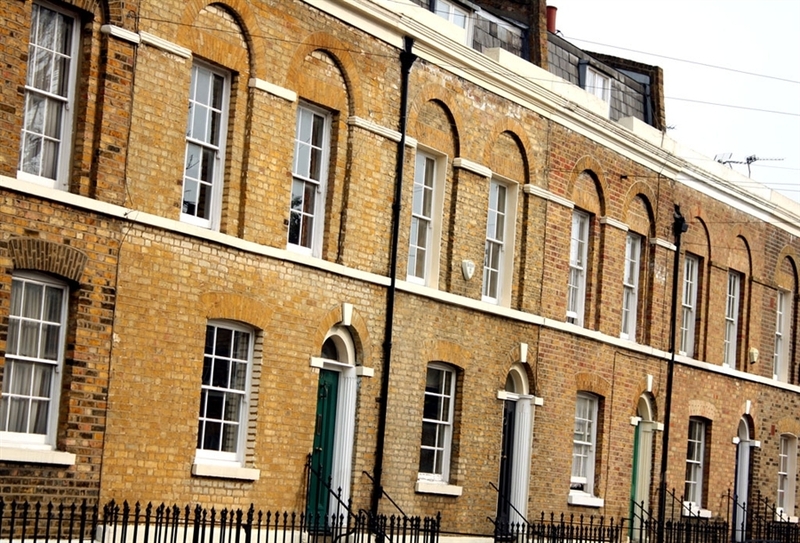 The new trend: Why are Londoners turning to smaller properties? In recent years, the London property market has been all about becoming bigger and better, with sales of larger properties costing more than £1 million rising time and again. However, according to new reports, the tide is turning, and a new trend is making its way into the capital's market, particularly prime Central London. W.A. Ellis' latest findings have shown that, for a variety of reasons, sales of homes costing less than £2 million have been thriving. In the SW3, SW7, SW10 and W8 postcode areas alone, transactions surrounding homes below this threshold have increased by 49 per cent. At the same time, the number of purchases of houses costing between £5 million and £7 million have had less of a strong period, with many downsizing from these properties. The reasons for this changing sentiment among buyers and such a seismic shift in trends are both financial and political. On one hand, stamp duty thresholds come into play for buyers. For example, a property that costs £2 million is subject to stamp duty of five per cent, costing the buyer £100,000. Those which cost just a pound more, however, would come with a levy of seven per cent, or more than £140,000. This additional charge, according to W.A. Ellis, means that more people are aiming to buy smaller properties. On top of this, there is also the political uncertainty that comes in the year before any general election. Many owners in London are aware of the Labour party's intention to introduce a mansion tax and are downsizing as a way to make sure they are not subject to this extra charge. Although the latter is a reality that could reverse based on the results of next year's election, it is very much causing a change in the way buyers react at the current time. But is this a trend that is likely to continue into the future? If developers are to be believed then it definitely will be the case. It's not all about the political standpoint of the property market, after all. 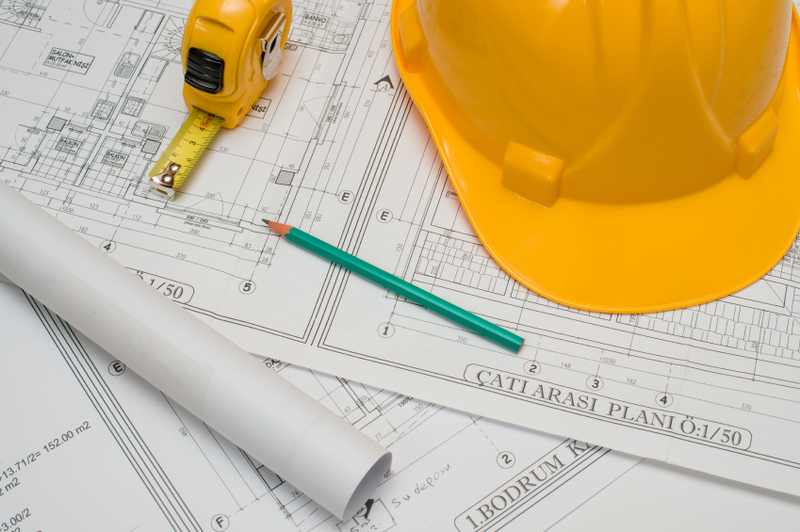 There are now more one, two and three-bedroom flats being built than houses in the capital. It all comes down to demand, of course, and with business sentiment riding high on the back of predictions for growth of more than 2.8 per cent from the Business Chamber of Commerce, it's highly likely that many young professionals will be moving into the capital and snapping up these smaller properties as employment opportunities improve.